You have just a couple of months in hand before the CA-CPT exams to start. While you must be engrossed in exam preparation, you must also take some time out to pay heed to the CA-CPT exam forms. They are just as important as the exam itself. Please note that you will not be allowed to appear for the exam unless your examination form is duly filled and submitted to ICAI on time. Before you start the registration process, you must keep your documents handy. You will require the soft copies of your 12th standard Admit card and Marksheet, and of the Declaration Form which will state that you are voluntarily choosing to opt for the CA-CPT exam under the old syllabus. You must have the saved copies of all these documents at hand before you start filling up the examination form. 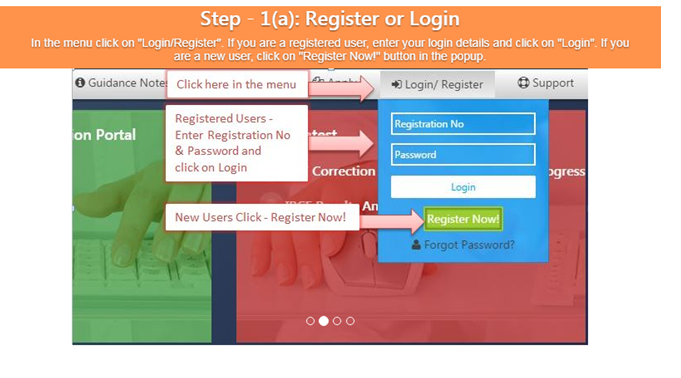 Step 1: Create your Account - To start the process, visit the website http://icaiexam.icai.org and do a one-time registration by submitting your CPT Registration Number, Date of Birth, E-mail ID, and Mobile No. The username and the password will be mailed to you at the e-mail ID supplied by you at the time of registration. The same will also be messaged to you on the mobile number you provide at the time of the registration. Step 2: Fill up the exam form – After logging in with id and password provided to you, you can now access the application form wherein you will have to fill in your personal details. Please remember to make a note of your exam center beforehand along with zone details (if applicable). Visit the ICAI website (www.icai.org) for the complete list of exam centers for CA-CPT June 2018. While filling up the form, it is mandatory to upload a declaration stating that you have not already passed CPT examination in an earlier attempt, and also that you have not converted from CPT course registration into Foundation Course on or before 1st Feb. 2018. You are thereby requesting permission to present yourself at the Common Proficiency Test conducted by the Institute of Chartered Accountants of India. 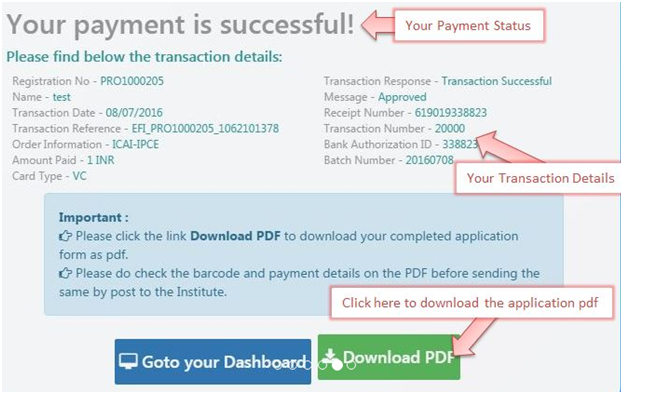 For doing this, before proceeding to fill up the exam form, you must download the format of the certificate, fill in the particulars, and get it attested by your Parent/Guardian and the Head of Educational Institution / Member of ICAI/ Gazetted Officer. Once done, scan the same as a Jpg/Jpeg file of size 100-300Kb/ 200DPI resolution and keep it ready for uploading. Before submitting, check twice to ensure everything is in place. Then, follow the instructions on site and proceed to make the online payment. If the Photographs are not appearing in the pdf then: Paste two latest photographs (pass port size – 3.5X4.5 cms. )– One attested and one non-attested. Send the printout of the Online Application Form without folding and Superscribing the envelope as "Online Application Form for 17th June, 2018 CPT Exam" by Speed Post/Registered Post to the Joint Secretary (Exams. ), Examination Department, The Institute of Chartered Accountants of India, 'ICAI Bhawan', Indraprastha Marg, New Delhi – 110 002, so as to reach him as per dates given at "Important Dates"
Important: Candidates are advised NOT to paste the photographs over the photographs already appearing in the PDF from the system (based on the respective candidates photograph and signatures appearing in the previous Exam forms submitted by him) or sign over the signature already appearing in the PDF from the system as NO cognizance of the same will be taken of, and such changes will be summarily ignored. Also, please note that candidates are supposed to courier print out of online application form only and only in case of any such discrepancy, incorporate the missing details and courier the application form to the ICAI office, the address of which you will find in the ICAI website. How to Prepare For CA-CPT Law in 60 days?